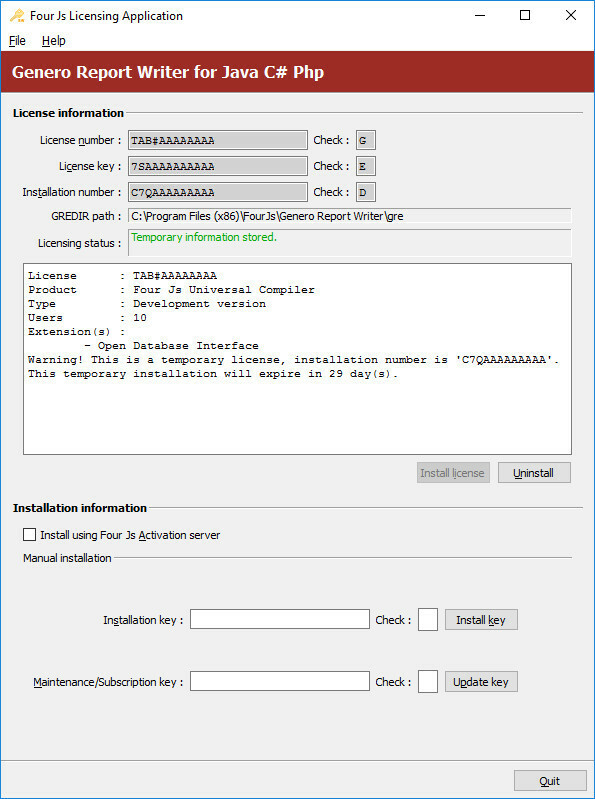 Follow this procedure to install the maintenance key using the Genero Report Engine for Java Licenser GUI application. 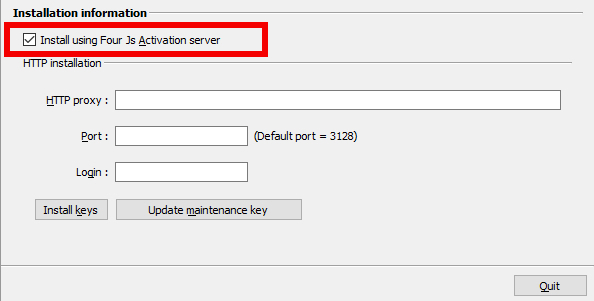 During installation the maintenance key is retrieved from Four Js activation server via the internet. The Four Js Licensing Application opens.